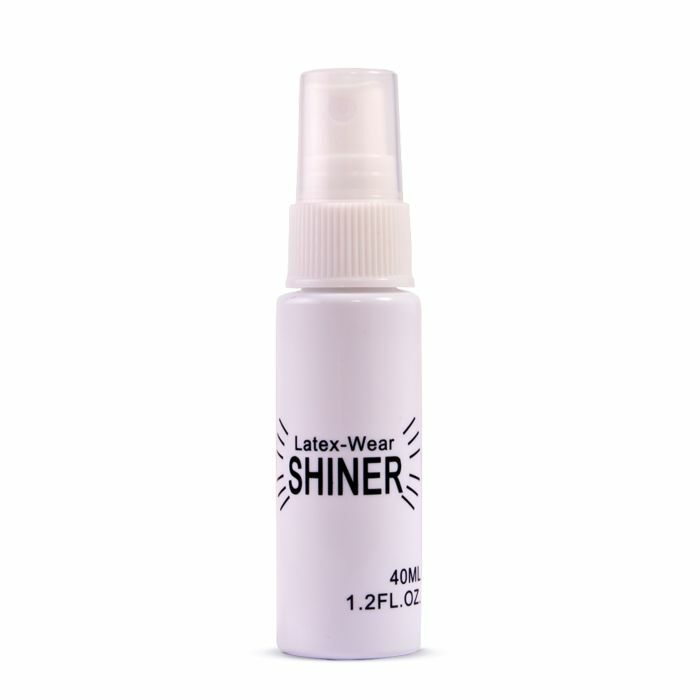 To give your rubber clothing a wicked, raunchy shine, use our Sharon Sloane latex spray shine! Not only does it add a protective coating, it also shines your rubber lingerie giving it a mirror-like finish! When you receive your rubber or latex lingerie it will have a dusty protective coating on it, this is to protect it whilst it is in its packaging and to stop the rubber bonding together. Sadly this also gives it a dull appearance... but fear not! One spray of our super Sharon Sloane Latex Shine Spray and your ordinary, dull looking lingerie is transformed into a vampish piece of fetish clothing. Stunning!